You can’t blow up a social relationship. The total collapse of this society would provide no guarantee about what replaced it. Unless a majority of people had the ideas and organisation sufficient for the creation of an alternative society, we would see the old world reassert itself because it is what people would be used to, what they believed in, what existed unchallenged in their own personalities. This essay was first published as a pamphlet around late 1978 or 1979, in the aftermath of the Sydney Hilton Bombing of 13 February 1978. The black humour of the time around the anarchist movement was that the police and security forces framed Ananda Marga, a socio-spiritual organisation and movement founded in India, because they came before Anarchism in the alphabet. The arguments in this pamphlet are still as valid today as when they were written all those years ago. Despite all this in sections of the press and especially in letters to the editor and street interviews (notably at Bowral) evidence existed that many people were keeping things in proportion. Overseas experience has shown that the most powerful weapon in the hands of those trying to use the existence of terrorism as an excuse to weaken democratic rights has been the creation by the media, police, and politicians of an atmosphere of hysteria. Then the real impact of terrorism can no longer be sensibly gauged. But more than this will be required if people are to stand up to the pressure to acquiesce in a gradual growth of repression. For example, justifying political police activity by invoking the fear of subversion was not really questioned in the 1978 South Australian inquiry into that state’s Special Branch. Subversive activities, according to Liberal-National governments, have not been those of Ustasha and other extreme right-wing groups but those of all leftist, unionist and reform groups and even those of the Australian Labour Party (ALP). This was spelled out by sacked South Australian Police Commissioner Salisbury, who said at a press conference that, before the Second World War, an ASIO equivalent organisation would have concentrated on the right wing, but that, since the war, the left has definitely become the chief object of concern for intelligence services. We have already pointed out that since the war it is the right that has dominated the few incidents of terrorism that have occurred. The current balance of forces within the Liberal Party has resulted in police attention to Croatian rightists. This has not changed the function of political police, which is to limit political debate not to prevent violence. Subversion for today’s political police is not merely questioning the status quo – it is questioning the Liberal-National status quo which makes the connection of the ALP with the setting up of the political police all the more reprehensible. It seems that Dunstan’s will remain an isolated act in Australian social-democracy. Despite Attorney-General Murphy’s raid on ASIO headquarters during the Whitlam government’s term of office, the ALP’s main concern regarding the political police was not to question their function but merely to make them more efficient. What really upset some people about the South Australian revelations was that judges and other upright citizens were being watched. “What a waste of time”, they say, “when the police should be concentrating on those weird folk who think that capitalism should be reformed or done away with.” If these people cannot be awakened to a concern for basic rights, they should at least be reminded that one thing leads to another and that it might be their rights endangered tomorrow. Subversion is in the eye of the beholder and the beholder is the ruling class. The famous American Sacco and Vanzetti case of the 1920’s is an archetypal case of the preparedness of the police to frame dissenters on charges of political violence. They were charged with robbery and murder. It is now generally accepted that these charges were trumped up. It is officially admitted that the anarchists did not get a fair trial. Despite massive international campaigns over a period of years for their release they were executed in 1927. Such was the determination of the rulers of the time. Cases like this, and there are many others, should be kept firmly in mind when assessing bombings and the court cases arising from them. The state, therefore, can be very ruthless in persecuting such people. However, when left-wing terrorism is being carried out in a consistent way in society, it gives the state extra leverage in using political repression against individuals and the left in general. A developing mass movement will produce repression, but it will also produce numbers of people with clear aims and the organised means of reaching them. It will be able to build far more lasting means of armed defence. In a social crisis in which all sorts of positive developments begin, a separate guerrilla or terrorist group dashing about creating ultimately irrelevant confrontations concentrates political debate in too narrow a compass – “have they (government or guerrillas) gone too far?” etc. instead of – “should the workers have occupied those factories?” etc. Terrorism and guerrilla-ism destroy politics. Terrorism, of course, does not belong solely to small bands in Italy and Germany. The most brutal and ruthless agent of terror, now, as throughout human history, is the ruling class. Read history. Alternatively recall that throughout the world our humane rulers have the nuclear weaponry to kill everyone on earth 24 times over (Ruth Legar Sivard in Bulletin of Atomic Scientists – April 1975). Or think of the implications of the property-preserving, life-destroying neutron bomb. The point must be made that state terrorism is stronger, more prevalent and much more destructive than vanguardist terrorism. In South America state sponsored undercover police death squads and the systematic use of torture have been recurrent. In the “white terror” in Guatemala literally thousands died each year (2,000 – 6,000 was the estimate for 1967-68). The military dictatorships that have ruled Brazil since the coup in 1964 are notorious for their police based death squads. The U.S. brought members of these squads into Uruguay to train police in torture of urban guerrillas. The U.S. is deeply involved in the development of torture in this region. The police-based Triple-A in Argentina killed 1,000 people in 1975. The full mobilisation of the Chilean regime into terror and killing is probably the worst anywhere since the war. Around the world the word “terrorism” is used indiscriminately by politicians and police with the intention of arousing hostility to any phenomenon of resistance or preparedness for armed defence against their own terroristic acts. Terrorism is distinguished by the systematic use of violence against people for political ends. Assassination, sniping, kidnappings, hijacking and the taking of hostages from amongst the public, and assaults and bombings deliberately aimed to kill, maim or affright the populace are methods used particularly in non-state terrorism. Within this category a distinction can be made between attacks on the public and those on individuals in power, without implying approval in either case. Clearly attacks on the innocent are worse than those on people guilty of some crime. In general it is important to differentiate between terrorism and what could be called intimidation. The state is constantly involved in trying to prevent the expression of political opinions by the threat of slander, harassment or disruption. Much activity of the state falls under the term intimidation. Some elements in the Australian left have attempted various types of intimidation against other leftists. We must also be careful to differentiate between terrorism and the damaging of property. Although it is clear that intimidatory activity and property damage are not usually as serious as terrorism, leftists should recognise the ease with which a preparedness for such activities can lead to worse consequences. This is not to argue that revolutionaries should have a reverent attitude to private property – merely that they should see that there is a vast difference between, say, the destruction of a nuclear facility building site by a mass occupation and the blowing up of that site by a few individuals. Just as the rulers prefer the word “terrorist”, terrorists prefer the description “urban guerrilla” as it lends them a spurious romantic air. Nevertheless, we believe that there is a distinction between terrorists and those revolutionaries who adopt the ideology and practice of “guerrilla-ism” which is to promote armed struggle as the revolutionary strategy. Especially in rural warfare these people can use non-terrorist armed action. This usually involves armed clashes with the police or army. However, because of the circumstances of urban guerrilla warfare, this method automatically leads to terrorism as will be discussed below. In South America the increased use of urban guerrilla warfare was largely a result of the failure of the rural strategy which had become obvious by the late sixties. The rural strategy was based on tenuous theoretical conclusions drawn from an idealised view of what happened in the Cuban revolution. However, the strategy of the urban guerrilla was not in essence different from that of the rural campaigns. Both were based on the vanguardist concept of the armed group whose specifically military confrontations with the ruling regime’s repressive forces would provide the small motor (the well-known “foco”) to start the big motor of political revolution. In this strategy successful military operation is the propaganda. The Uruguayan Movement for National Liberation (called the Tupamaros), most successful of the urban guerrillas, express this strategy thus: “The idea that revolutionary action in itself, the very act of taking up arms, preparing for and engaging in the actions which are against the basis of bourgeois law, creates revolutionary consciousness, organisation and conditions”. What a monomania! What simplistic reasoning! The total defeat of the urban guerrillas in Venezuela in 1962-63, who had support from the countryside and even the Communist Party, should have warned them that the Strategy was flawed. It is fractured thinking to identify the essence of revolution as illegality or as armed confrontation with the repressive instruments of the state. This totally obscures the essence of our objection to this society, which is not simply a disgust with state violence – the uses of gaol, brutality, torture, murder etc. – but with hierarchical relationships among people, with competition instead of co-operation. The “very act of taking up arms” may defy the law but it says nothing about what is being fought for. The essence of revolution is not armed confrontation with the state but the nature of the movement which backs it up, and this will depend on the kinds of relationships and ideas amongst people in the groups, community councils, workers councils, etc. that emerge in the social conflict. The job for revolutionaries is not to take up the gun but to engage in the long, hard work of publicising an understanding of this society. We must build a movement which links the many problems and issues people face with the need for revolutionary change, which attacks all the pseudo-solutions – both individual and social – offered within this society, which seeks to demystify those solutions offered by the authoritarian left and instead to place the total emphasis on the need for self-activity and self-organisation on the part of those people willing to take up issues. We need to present ideas about a socialism based on equality and freedom. It is often argued that such demands are ridiculous in the context of immediate basic needs in the Third World. In fact, self-organisation on co-operative lines is becoming a feature of Third World struggles. The economistic arguments about Third World struggles would seem to be linked with the idea that Western-style leaps into industrialisation are the solution, when in fact decentralisation is the key and this certainly makes the type of personal change we are thinking of easier. A few leaflets scattered about the site of an action is as much as some groups offer in the way of ideas. The communiqués of the German Red Army Faction (Baader-Meinhoff) never rose above the political level of slogans like “Expropriate Springer, Fight class justice, Fight all exploiters and enemies of the people, Victory to the Viet-Cong” etc. 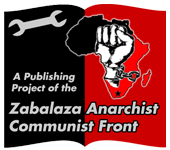 Their pamphlet “The Concept of the Urban Guerrilla” is a transference of the same strategy as quoted above to Western capitalism. The same goes for the American Weathermen (later Weather Underground), the British Angry Brigade, Japanese Red Army, Symbionese Liberation Army (SLA) etc. Usually these groups have shown a sycophantic third worldism which saw activity within imperialist nations as supportive of the “real revolution” in the third world. The Weather Underground Organisation (WUO) elevated this into their whole ideology and strategy. They denied the task of spreading revolutionary ideas to the majority of people in their own country. Instead the US was to be made immobile while the victorious Third World revolutionaries brought revolution from outside. The WUO were later to become orthodox marxist-Leninists. Baumann, author of the book mentioned before, was in the June 2nd Movement. He reveals the same kind of thinking, though, unlike the marxist-leninist Red Army Faction (RAF), they called themselves “anarchists”. It would be hard to find a “strategy” that was less anarchistic, less libertarian. The third-band Lenin on the labour aristocracy, the vanguardism, the profoundly elitist millenarian vision of total destruction etc., ‘all absolutely exclude anything but a dictatorial outcome. Baumann described how after Vietnam their line was “people should get involved in Palestine” (p. 50) – and the various German and Japanese terrorists have certainly appeared in Palestinian actions. But this only reveals all the more clearly their total removal from the real struggle in their homeland. And it does not display any substantial concept of internationalism, as they were acting totally above the heads and completely out of the control of the people they were supposedly representing. They were content to work with groups which themselves were merely acting as “terrorist pressure groups” attempting to gain concessions from various ruling classes. For example, the creation of Black September was a result of the defeat of the Palestinians at the hands of the Jordanian forces in 1970 and of the failure of the various organisations to successfully mobilise the people – instead, they turned to international publicity. Now that the PLO has successfully organised itself as a state amongst the Palestinians, terrorism is used as an instrument of state policy. It is the avenue through which the PLO can threaten to explode the situation in the Middle East. On the whole, struggles revolving around groups oppressed as a culture or nationality are those in which terror against the public and terrorism as a sole strategy is most often found. As a refuge for conservative, authoritarian or vanguardist ideas nationalism masks them as “progressivism”. Terrorism does not conflict with such ideas. If the aim is to place a new group h power whose only requirement from the people is that they are of the same culture or nationality, any method which works will be consistent. The more one wishes to change existing relationships by an aware, self-active populace initiating and controlling a movement, then the more counter-productive and contradictory terrorism becomes because of the elitism and manipulation inherent in it. Those armed groups in Spain and elsewhere who called themselves anarchist or libertarian drew much of their specific justifications from the Spanish revolution and war and the urban warfare that continued there even past the end of the Second World War. For our argument the civil war in Spain is exemplary because the slogan of “win the war first” was used against politics, to halt the revolution and then to force it back under Stalinist dominated but willing republican governments. In fact the enthusiasm and determination of the people who first threw back Franco’s 1936 coup was based on the fact that at the same time they were seizing the factories and farmlands and placing them under collective control and co-ordinating them through co-operative means. The defeat in war necessarily followed the defeat of the revolution. Furthermore the popular army was reorganised into an ordinary military and the original egalitarianism was stamped out under typical militaristic discipline and hierarchy. The post-war libertarian guerrillas were aware of this, but they did not analyse the experience sufficiently. They did not see the absolute primacy of politics over armed struggle. They did not see the vanguardist nature of armed groups seizing the initiative. They did not see the need for whatever armed activity is necessary to be organised from an existing democratic movement and to remain under that movement’s control. One libertarian movement in Spain, the Iberian Liberation Movement (MIL), founded itself on the theory of guerrilla-ism (though it was involved in political activity). It carried out a number of bank robberies and during arrests a policeman was killed. As a result an MIL member was garrotted in 1974. The reason the MIL is mentioned here is because they dissolved their organisation after general defeat by the police but also because of the realisation that their strategy was wrong. “It is now useless to talk of politico-military organisations and such organisations are nothing but political rackets.” (Congress of Dissolution) They decided instead to work to deepen the anarchist communist perspectives of the social movement. Surely a lesson for us all. A democracy can only be produced if a majority movement is built. The guerrilla strategy depends on a collapse of will in the ruling class to produce the social crisis out of which revolution occurs, whether the majority favours it or not. Any reading of guerrilla strategists reveals that it is a philosophy of impatience. While a collapse of will in the ruling class is surely a vital element in any revolution, unless a mass movement with democratic structures for running the country exists, then an elite will take power. Always lurking in the background and sometimes boldly stated is the idea that guerrilla warfare or terrorism aims to produce a fascistic reaction which would radicalise the people. The Provisionals (IRA) quite obviously followed this strategy. But groups like the RAF and June 2nd also shuffled this idea with their third-worldism, especially as the third world stabilised into dictatorships and state capitalism and Western collapse appeared a receding prospect. Of the state apparatus, Bommi Baumann says, “We knew that if it was touched anywhere, it would show its fascistic face again.” As horrible as many aspects of the West German state are, it is not fascist. A clearer understanding of the situation would reveal that it is yet another example of the fact that dictatorial methods have always been and will continue to be part of the arsenal of social control in a capitalist parliamentary democracy. Such methods will be used with abandon in a social crisis. More important still is the revelation that these guerrillas are completely unable to understand in a social-psychological sense that oppression is maintained by consent, and that violence is a secondary phenomenon. In March 1972 the Tupamaros stated that they wanted to “create an undeniable state of revolutionary war in Uruguay, polarising politics between guerrillas and the regime.” There is even some suggestion that they discussed the possibility of carrying out actions designed to prompt an invasion by Brazil in the belief that this would galvanise the total population into action. “We don’t count on a spontaneous anti-fascist mobilisation as a result of terror and fascism itself…..
What is revealed completely in this quote is the absolute arrogance of these groups – “Sure we’re hoping for a radical response to the state repression we bring down on your heads, but if that doesn’t occur, well, that will go to prove you are all stupid.” They ignore the actual conditions, like all guerrillas, demanding that everyone else miraculously achieve their “advanced” consciousness, when, as has already been shown, their ideas are superficial and without value and merely a rallying cry for a massacre. The reason for the occurrence of this ugly strategy derives from the limitations of urban guerrilla warfare. Since they depend on armed action for their existence, all guerrillas can only develop their struggle by escalating their engagements. If they do not they will be forgotten. Dynamism is everything. But rural guerrillas can do this by establishing and expanding their territory of action – liberated zones. They can choose to take on army formations according to their situation. But urban guerrillas can hold no territory, for to attempt to hold a neighbourhood or building is to take on the entire armed might of the city. In any engagement the size of army forces cannot be ascertained since they can arrive in minutes. Urban guerrilla warfare must become terrorism in order to develop. There is no other avenue for escalating the struggle. Furthermore the warfare cannot stretch out indefinitely without withering away. This is the appeal of the polarisation and militarisation of society strategy. It is the ultimate in manipulation – an intentional attempt to create suffering among the people for the ends of the guerrillas who assume that they know best and that the people will be better off in the long run. Of course the strategy usually results only in repression. The Tupamaros came to prominence in 1968. In 1967 the democratic government had begun responding to Uruguay’s first major economic crisis since the war by attacking the working class and introducing repressive legislation. So they entered the right social situation. They had also spent all the sixties preparing. They were always efficient and planned well, they had links in unions and other legal movements that were not only maintained but grew. They had élan, imagination and humanity. But by 1971, the year of elections, the paucity of their strategy was becoming apparent and even they were indecisive. How could they go one step further without losing support? They depended on transitory support that was impressed with their seeming invincibility and their restrained use of violence. Inevitably they would prove beatable, inevitably much blood would flow. Then it would be revealed that they had no mass base. After the elections the army was let loose and soon up to 40 Tupamaros were being tried every day. They were defeated before the military junta came to power in 1973. Just because they were so good within the limits of the urban guerrilla strategy they prove the basically flawed nature of the theory. It was quite clear that the ruling class of Uruguay was going to respond to the economic crisis by gravitation to dictatorship. But if the energy expended by the Tupamaros had gone into the spreading of ideas encouraging people to organise, the resistance would have been larger and more profound and therefore had more chance of success. This is especially absurd given the role of the most popular news sources in stimulating and maintaining the most irrational elements in people’s response to acts of political violence. They deliberately try to obscure political issues by omission and commission. Take the Middle East as an example – how many people remember that 106 passengers and crew were killed in a civilian plane shot down by an Israeli jet over Sinai? How many people know that Israeli bombs killed 46 children in a village in the Nile delta? How many know that 1500 were killed and 3000 napalmed in Palestinian refugee camps and villages by Israel from 1969 to 1972? Before too long the killing of civilians by the Israelis in their incursion into Lebanon will be forgotten. But you can bet that the killing of civilians by the PLO’s terror squad will be remembered. In fact the hypocrisy and cynicism of Israeli planning relies on this amnesia. The real effect amongst the people, however, is to confirm the idea that politics is a removed realm to be viewed passively – usually as dreary routine but occasionally as a spectacle. Even if people “support” the guerrillas, this hardly has any real meaning in terms of their own involvement in politics. Instead, the usual result is to provide an organising base of vicious attitudes for the rulers to exploit for their ends. The existence of media manipulation should not, however, obscure its basis in reality. Leftists are inclined to dismiss people’s outrage as “reactionary”. But the killing of school-children, placing of bombs in underground stations or machine gunning people at an airport can never be dismissed no matter what the context. People’s response is, on the whole, genuine moral outrage. This is manipulated into law and order hysteria which allows legislation to be passed and the left to be crushed. But it is typical of the elitism of many passive leftists lacking in principled ideas who sycophantically devote themselves to any active cause somewhere else, carried out by someone else, to pour contempt on the reactions of people to real outrages. There is undoubtedly much evidence of a tendency toward glorification of death and violence by terrorists and guerrillas. Jebril, one of the leaders of the Palestinian rejection front, sends his troops into Israel with orders not to return (that is, to die) and was quoted as saying “We like death as much as life and no force on Earth can prevent us from restoring Palestine…” putting himself in the same category as the Spanish Falangists (Fascists) who shouted “long live Death!” It must be admitted that this trend of love of death has been prominent amongst various terrorists. WUO leader Dohrn made a public and positively gloating rave of support for the murders of the element here of the “counter-cultural fascism” which saw the US divided between “pig amerika vs woodstock nation”. A section of the counter culture made a cult of Manson. Baumann mentions that, at the time, they did not think Manson was “so bad”. In fact, they thought him “quite funny”. What should be avoided, however, is a tendency to explain terrorism by the alleged insanity of the actors, because the acts arise in specific situations of oppression and provocation – the obvious example being nationalities suffering embittering oppression. In West Germany there were specific incidents such as exceptionally brutal police behaviour, leading to the death of a demonstrator, the attempted assassination of a student leader, the venality of the major Springer press (many times worse than Packer or Murdoch), the social democrat Brandt’s introduction of berufsverbot in 1972 (an employment ban against all leftists, reformists etc. who are “not loyal to the constitution” which was eventually applied in some states to social democrats themselves), the general attempt to smash all extra-parliamentary or non-union movements of which the ban is only the best known part. All of these things provided the background for political violence. Baumann shows that he has learned this lesson through harsh experience (though he still misses that there is a tradition of human values which has survived even “the machine” and that this tradition is asserted, for example, in many episodes of mass revolutionary activity such as the Spanish revolution in 1936, the Hungarian revolution (1956) and the French revolution in 1968). Until now, it has been assumed that there is no simultaneity of revolutionary praxis and love. I don’t see that, even today I don’t. Otherwise, I might have continued. But I saw it like this… you make your decision, and you stop and throw away your gun and say: Okay – the end. For me, the whole time it was a question of creating human values which did not exist in capitalism, in all of Europe, in all of Western culture – they’d been cleared away by the machine. That’s what it’s about: to discover them anew, to unfold them anew, and to create them anew. In that way, too, you carry the torch again, you become the bearer of a new society – if it is possible. And you’ll be better doing that than bombing it in, creating the same rigid figures of hatred at the end. Stalin was actually a type like us: he made it, one of the few who made it. But then it got heavy. [Baumann is referring to the fact that Stalin was a bank robber etc., for the Bolsheviks before the revolution]. The very essence of libertarian revolutionary strategy is the idea that there is an inextricable link between the means used and the ends proposed. While there may be a link between the rotten authoritarian ends of nationalists and marxist-leninists and rotten terrorist means, it is unquestionably clear that libertarian ends must disallow terrorist means. In fact the majority of marxist-leninist groups oppose terrorism, though, as Lenin says in Left-wing Communism – an Infantile Disorder, “It was, of course, only on grounds of expediency that we rejected individual terrorism.” Leninists are the proponents of vanguardism par excellence. They are also proponents of terrorism by the state – as long as they control it. Libertarians look at history and at the ruling classes of the world and conclude that a libertarian movement will face state violence and armed struggle will be necessary in response. It is quite obvious that political activity could not even commence in certain conditions without taking up arms immediately. Also in certain conditions, as in peasant-based societies, it would be necessary to set up armed bases in the countryside. But the aim here would not be to carry out “exemplary” clashes with the military but to protect the political infrastructure to enable the spreading of ideas to continue. This may involve some guerrilla tactics but it cannot mean the strategy of guerrilla-ism. Nor can it mean the creation of a separate, hierarchical, military organisation, which is not only anti-libertarian but is also vulnerable and inefficient. The Tupamaros were, being marxist-leninists, hierarchically organised. One of the factors in their defeat was the treason of Amodio Perez, a “liaison director” in the organisation, i.e. a second-level institutionalised leader who knew so much that he was able to single-handedly put police onto large sections. In Baumann’s book he makes it quite clear that the capture of members of groups was often the result of betrayal by sympathisers. This was not ever a result of hierarchical structuring as this did not exist in the group he belonged to. Though the police did use virtual torture methods on some sympathisers this was not the main factor either. It rather follows from the life of illegality. Armed struggle means people would be killed and there is no getting away from the fact that violence threatens humanism. But libertarians would hope to preserve their humanism by ensuring that armed struggle would merely be an extension of a political movement whose main activity would be to spread ideas and build alternative organisation. The forces of repression (police, army) and the rulers themselves would not be excluded from such efforts. In fact much effort would be devoted to splitting them with politics to minimise the necessity for violence. In this situation everyone would have a choice. Libertarians are extending to people the hope that they can change. We are extending to people our confidence that a self-managed society will be more satisfying for all people. This includes our rulers, even though we recognise the limitations created by the characters people have developed in their lives, especially those adapted to the exercise of power.